The Desertfest Podcast is a podcast loosely associated with Desertfest London and even more loosely associated with other Desertfests. 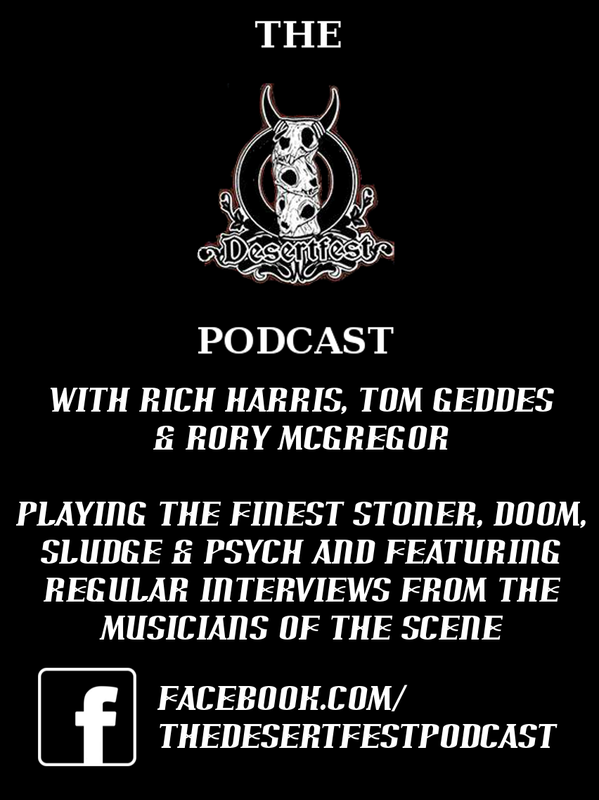 Your hosts, Rich Harris, Tom Geddes and Rory McGregor play you the finest stoner rock, doom, sludge and psych and conduct interviews with the musicians from the scene. We’re a super-DIY, zero budget, not for profit podcast and our only care is getting the music to your ears. The podcast is released every Friday at an unspecified time, and is also carried by Grip of Delusion radio (listen here), playing at 4PM EST /10PM CET / 9PM UK time.